Bees existed long before humanity appeared on the scene. These special insects have been greatly respected by all peoples for centuries. Although this species cannot be domesticated, it has nonetheless developed a symbiotic relationship with people. Various forms of beekeeping can be found in all civilisations, as honey has always been thought of as a precious, rich and coveted food product. Bees live in organised colonies in which each individual has a precise role and specific function. 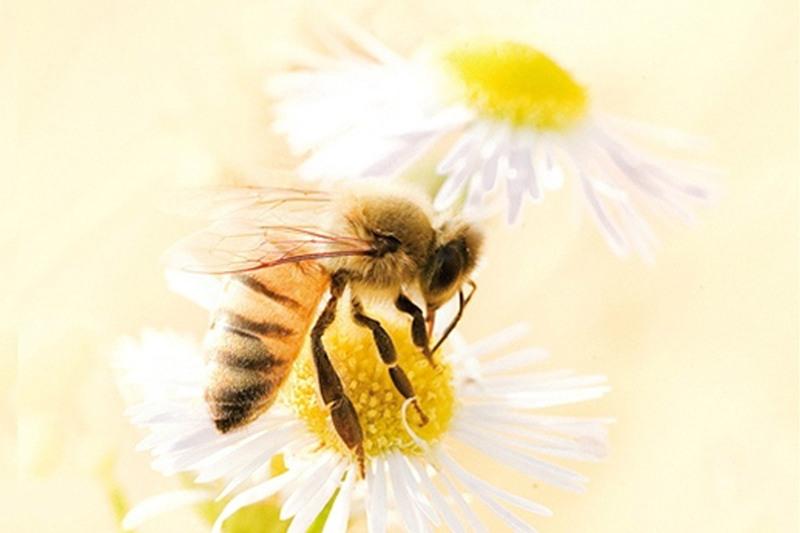 No single bee can avoid its fate, as an individual can only exist within its community and the community could not exist if individuals did not carry out their own roles. By collecting nectar from flowers, their main food that they transform into honey to survive the winter, bees unknowingly also transport the pollen that sticks to the hairs that cover their bodies. They transmit the precious genetic data stored in pollen from flower to flower, unknowingly helping to preserve the richness of the biodiversity that our earth enjoys. This means that we owe not only honey, propolis, pollen, wax and royal jelly to bees, but also 70% of the planet’s edible crops!